Prior to the last appointment, he was Principal of the St. Augustine Campus of the University of the West Indies from 1996-2001, Pro Vice Chancellor for Planning and Development 1990-1996 and Deputy Principal of the St. Augustine Campus from 1990-1993. He held an appointment as Professor of Economics from 1981-2001 and is now Professor Emeritus of Economics. 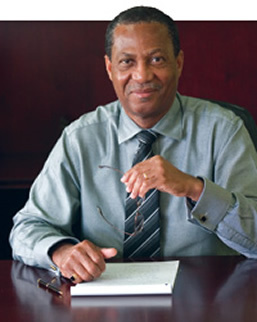 Professor Bourne served as a Director of the Central Bank of Trinidad and Tobago from 1987-2000. He is a Fellow of the Caribbean Academy of Sciences, past President of the Caribbean Studies Association, and past Vice-President of the Caribbean Agro-Economic Society. He is a Member of the Order of Excellence, the highest honour of the Republic of Guyana, and is a recipient of the Caribbean Studies Distinguished Service Award (1989), The American Foundation for the University of the West Indies Award for Outstanding Contribution to the Caribbean, and the National Coalition on Caribbean Affairs International Service Award (2005). In October 2011, he was awarded the honorary Doctor of Laws (LLD) by The University of the West Indies. Professor Bourne is the author or editor of 10 books and more than 50 scholarly papers in addition to more than 50 research reports and advisory memoranda for Caribbean Governments, foreign governments and international development institutions and agencies.